A beautiful love song sung, composed and written by Zack Knight featuring him in song video. The video of this song is available on YouTube at the official channel T-Series. This video is of 3 minutes 05 seconds duration. 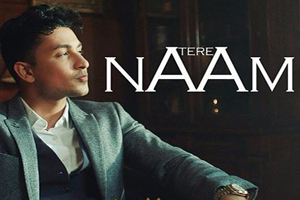 Lyrics of "Tere Naam (Zack Knight)"
Lyrics in Hindi (Unicode) of "तेरे नाम"